I am a writer, editor, podcaster and writing teacher... I have five books published, including three Young Adult novels, and non-fiction for young people and for adults, and I've won some awards and shortlisted in a bunch of others. 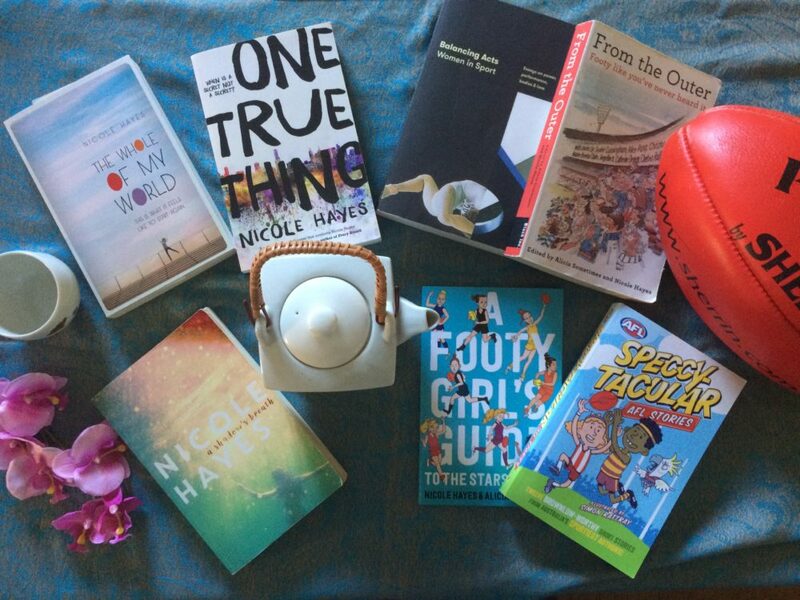 I'm also part of the award winning all-female AFL podcast and radio show, The Outer Sanctum, on the ABC. WRITING WORKSHOP FOR EMERGING WRITERS! 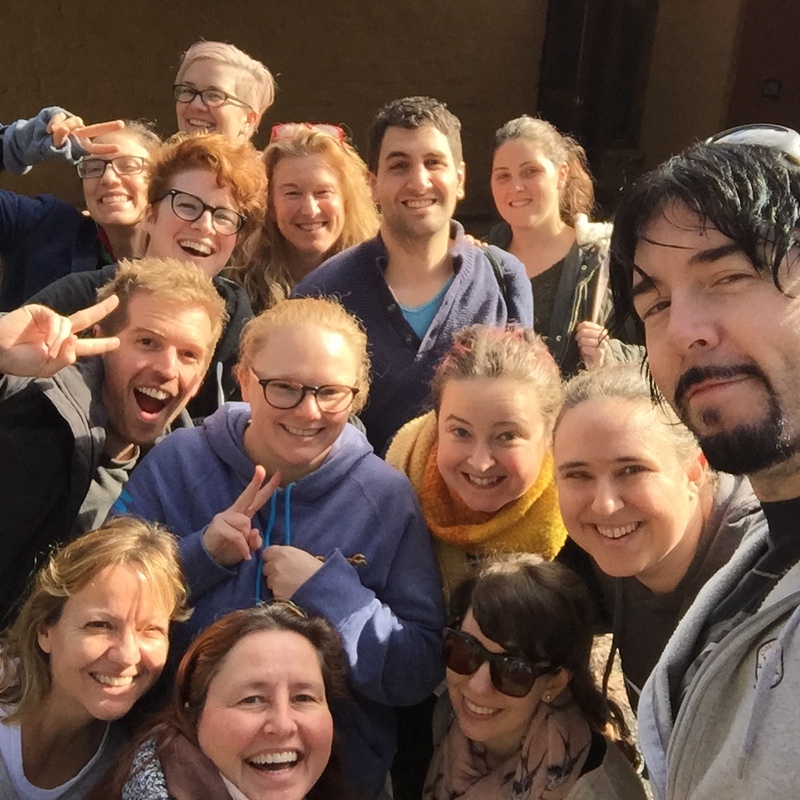 In this all day workshop, the focus is on getting story foundations right – checking in with the conventions of storytelling to be sure they’re working for you and your genre. But also, it’s about getting some writing done. I’ll offer guided exercises and one-on-one support and instruction in a small group environment. Lots of hands-on help, but also time to write for yourselves. Drawing on more than ten years’ experience running writing workshops and with five published books behind me, I can help with craft and technique, plus publishing and editing advice within a group of fellow emerging writers. All this and lunch! On the day you will need writing instruments – either notebook, pens and/or laptop. If you’ve got some ideas or have started to write, you might want to bring that too. Everything else will be provided. Early Bird price $200.00 – FULL PAYMENT by April 20. Regular price $225.00 – PAYMENT from April 21 and thereafter. Workshop fees include morning tea, lunch, and workshop handouts. PLEASE NOTE: Cancellation policy — An administration fee of $50 will be charged if a participant cancels before April 30. There will be no refunds after May 20. In the case of insufficient registrations, I reserve the right to cancel the event, in which case a full refund will be provided. Nicole Hayes is an author, podcaster and public speaker. Her books include award winning fiction for Young Adults, a non-fiction book for children, and a collection of essays she co-edited for adults featuring Australia’s most prominent thinkers and writers. Recently, she has written for The Guardian, The Griffith Review, Lifted Brow, and The Wheeler Centre, among others, and runs a range of writing programs for adults and young people. She is a #LoveOzYA advocate, a Stella Prize in Schools Ambassador, and is one-sixth of the groundbreaking AFL podcast and radio show, The Outer Sanctum (on the ABC). Writing Masterclass February 2018 — HURRY! In this Masterclass, award winning author and writing tutor Nicole Hayes will help you uncover what you need to break through your story. Whether it’s the next chapter, the next act, the next sentence, or an entirely new idea, Nicole will offer strategies and processes to help you move your story forward. On the day you will need writing instruments – either notebook, pens and/or laptop. If you are working on a project, you might want to bring that too. Everything else will be provided. Workshop fees include morning tea, lunch*, and workshop handouts. *Will attempt to accommodate all dietary requirements per request. CANCELLATION POLICY — An administration fee of $50 will be charged if a participant cancels before January 25. There will be no refunds after January 25. In the case of insufficient registrations, Nicole reserves the right to cancel the event, in which case a full refund will be provided. In this last of my series of 2017 Masterclasses, I will help you do what it takes to deliver your story where it needs to go. There’ll be writing tips, guided exercises, one-on-one advice, workshopping and “wild writing” within a group of like-minded fellow writers to help you smash through the block, or simply get started! All this and an excellent lunch. Bookings will not be accepted after October 12, 2017. Payment is non-refundable unless the class is cancelled. Workshop fees include tea/coffee, lunch, and handout materials. I am freshly returned from five days on a writers’ retreat with some amazing writers, and generally excellent humans. Such an incredibly productive time – in word count, in idea generation, in career guidance, but most of all, for the friendships cultivated and furthered. What a time! Thank you all, lovely writer friends.